Ian has been the organisation’s manager since 2008 and is responsible for the day to day operation of the charity. 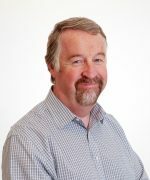 A member of the Association of Accounting Technicians, Ian has previous experience of the third sector in a voluntary capacity and brings with him over twenty five years experience in the private sector. His responsibilities include all aspects of the organisation’s operations including finance, premises, HR, Change Management and liaison with outside organisations and funders. Kathy has been with the charity since its inception and is from a nursing background. Her main responsibilities are the recruitment and training of our volunteers and counsellors. 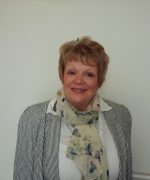 Kathy has a Diploma in Counselling and is a registered member of the BACP. She visits Singleton Hospital wards weekly, supporting patients and relatives referred by health professionals. She is also a Counsellor in our Swansea Centre and across Swansea on an outreach basis. Norma started volunteering with CISS in 2008 at our Neath shop. In that time she quickly took on the role of Deputy Manager and following the retirement of the Shop Manager in 2018 took over her role and is now fully responsible for the day to day running of our Neath store. 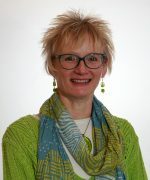 Meinir has worked at CISS for the past 19 years, previously from a nursing background with 20+ years experience in various health care settings. As Outreach Coordinator her main responsibilities are overseeing the day to day management and support of the Outreach Team, strategically linking with hospitals, health professionals, GP surgeries and community groups within south west Wales. 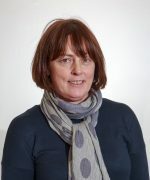 She has a Diploma in Counselling and a member of BACP, is a fluent Welsh speaker and works from a counselling/support perspective with cancer patients and families across all areas within their homes and communities. Alleyne was previously a health care professional for over 20 years before becoming a qualified counsellor and has worked for CISS since 2010. Her role is Outreach Counsellor for Bridgend and Neath Port Talbot, supporting clients within their home, at GP surgeries and in hospital. Berns has been a counsellor at CISS for 9 years, her role being Outreach Counsellor, supporting clients within their home, at GP surgeries, in hospital plus at our centre in Swansea. Prior to this she worked in a variety of counselling fields since qualifying in 2005. 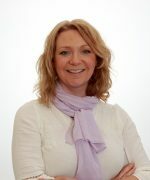 Jayne comes from a background in nursing and gained her counselling degree at Glamorgan University. She’s been a member of the outreach team since 2009 after working for several years as a generic counsellor within the third sector. Covering Neath Port Talbot and Bridgend, she supports clients at home, in hospital, or at one of our centres. Lisa has been a counsellor with CISS since 2012 and is qualified to Masters level in humanistic counselling practice. She has past experience counselling with a generic counselling centre and combines theoretical models to provide tailor made support. 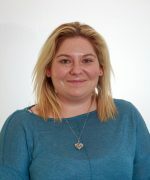 Lisa is an outreacher counsellor for the Neath Port Talbot, Bridgend and Swansea areas providing counselling and emotional support to clients in their homes, at hospitals and GP surgeries. She has recently attained her counselling children & young peoples Diploma so now supports anyone aged 3+. Ffion is one of our outreach counsellors, working across Swansea. In her role, Ffion undertakes home and hospital visits as well as counselling in our various locations. Ffion is a fluent Welsh speaker and her qualifications include a degree in Psychology and foundation degree in counselling. She has recently attained her counselling children & young peoples Diploma so now supports anyone aged 3+. Jo has looked after the smooth running of the Swansea shop since 2011, ensuring volunteers are available to cover the opening times. She also ensures items given generously by donors are arranged for sale to the shop’s customers; those items that can’t be sold are recycled, and part of her role is to ensure our income is maximised by recycling as many of these items as possible.